USPP “INCREASING PATROLS” and ALWAYS HAS “ROBUST” PATROLS ???? United States Park Police managers, carrying out the wishes of their National Park Service bosses, have stated that they are increasing patrols around the “treasured icons” and that the U.S. Park Police “always maintains a robust patrol presence”. They have not increased the patrols around the “treasured icons” unless they have reduced patrols in other under-patrolled NPS areas because they are not paying for any increased patrols. 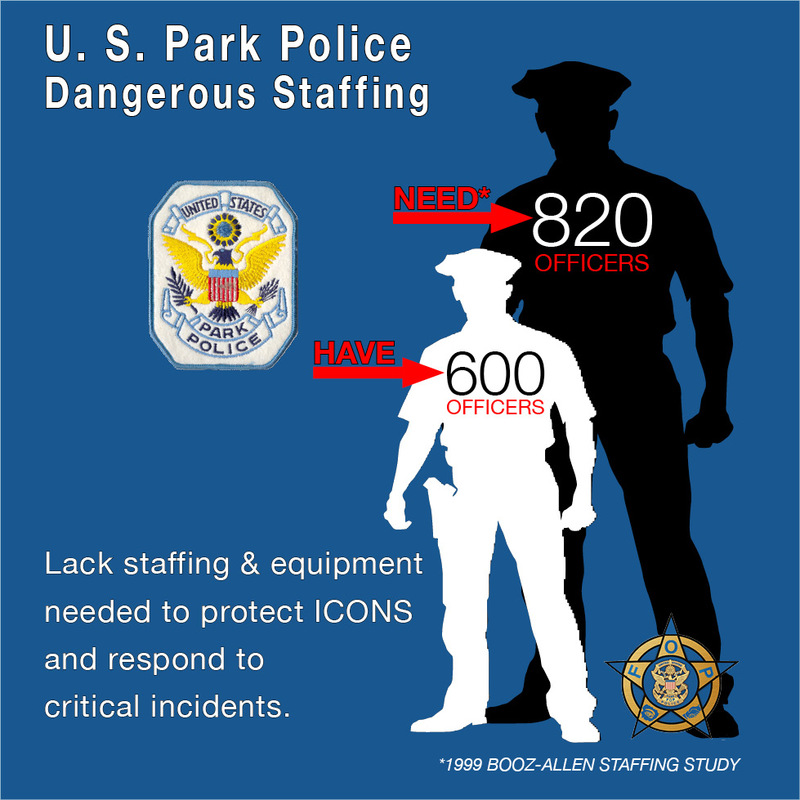 The United States Park Police doesn’t have the staffing or equipment needed to effectively protect the “treasured icons” or respond to critical incidents because of the policies of the National Park Service.